Researchers from the University of Technology Sydney (UTS) say that Australian manuka honey is just as powerful at fighting bacteria as New Zealand manuka honey. The difference between Australian and New Zealand manuka honey is a hot topic with some New Zealand honey producers saying they should have the exclusive rights to the honey which has antibacterial properties. Australian honey producers however say the Leptospermum tree, where manuka honey comes from, is native to Australia and that they have just as much as a right to sell manuka honey as Kiwis. 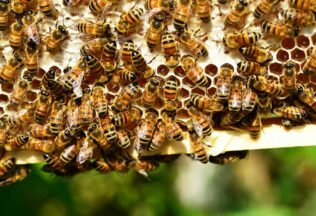 In a win for the Aussies, the latest findings by Professor Liz Harry and her team revealed that more than 80 Australian honey samples had the same antibacterial properties as New Zealand manuka. The ground-breaking research also showed the antibacterial properties of honey remain unchanged over several years when stored appropriately. “These findings put Australian manuka honey on the international radar at a time when antibiotic resistance is recognised as a global crisis,” said Dr Nural Cokcetin, of the ithree institute at UTS, one of the study’s authors. The findings have been described as a “game-changer” for Australian beekeepers looking to take advantage of increasing consumer interest in manuka honey. The research is part of a five-year UTS project funded by the Rural Industries Research & Development Corporation (RIRDC), through its Honey Bee and Pollination research program. There are about 12,400 registered beekeepers in Australia, and about 200,000 hives used for commercial pollination and honey production. The industry produces up to 30,000 tonnes of honey annually. Interestingly, the rival between Australia and New Zealand over manuka could even go as far as how to pronounce the word manuka. Most Australians currently pronounce manuka honey the same way New Zealanders do, saying mah-noo-ka. But the Canberra suburb named after the honey, spelt the same, is pronounced man-nu-ka. It is thought the Canberra suburb is pronounced as man-nu-ka because this is the way Queen Elizabeth said it during her 1954 royal visit to Australia. So this might be another distinctive way for manuka honey from Australia to be differentiated?